Symbian Anna for July? 7.11? 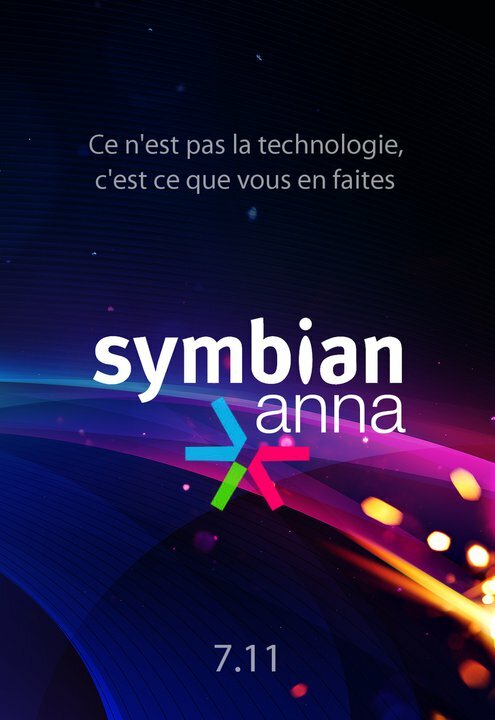 Does Symbian even still use that ancient logo? Lol, another photoshop? Isn't that the S60 wheel thingy? Symbian Anna as far as we know is due Q3, 2011. That’s anything from July to September. Some blogs are running with a new, more specific release month of July. It has been rumoured though they reckon Nokia France is ‘confirming’ it. So it’s almost official update from Symbian Anna is currently being validated by Nokia, and should arrive for the month of July. In addition, a further update will be available shortly thereafter that of Anna for Nokia N8 and will record video at 30fps (24fps now) streaming video and autofocus. I don’t know how official that page is. It could have been made up by anyone. Forgive the scepticism. We’re all understandably a little jaded when it comes to Nokia’s release of PR2.0 early 2011 to know H2 2011. Let’s just have the mindset of it’ll arrive when it arrives. Cheers Jens and Constantinos for the tip.